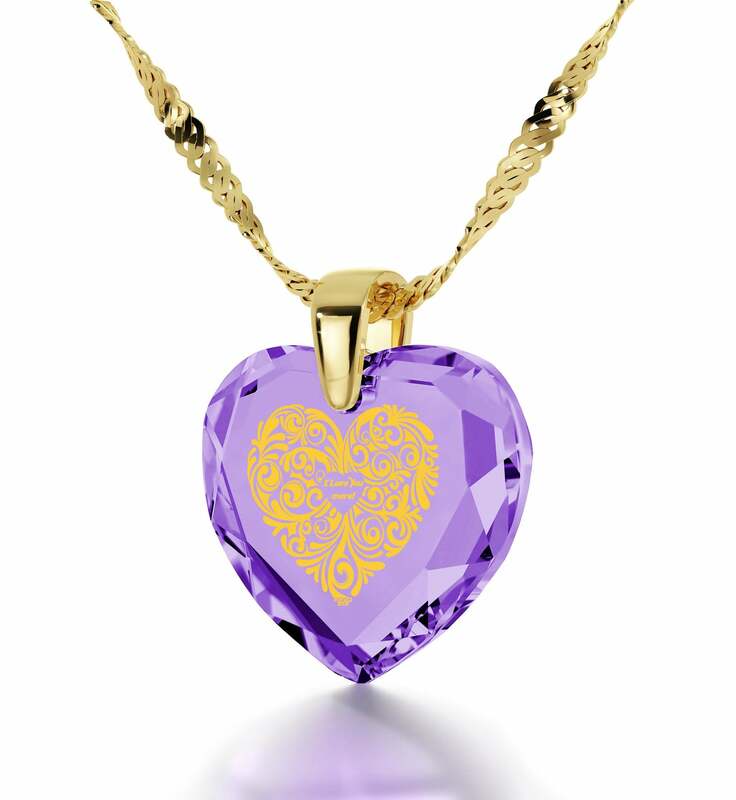 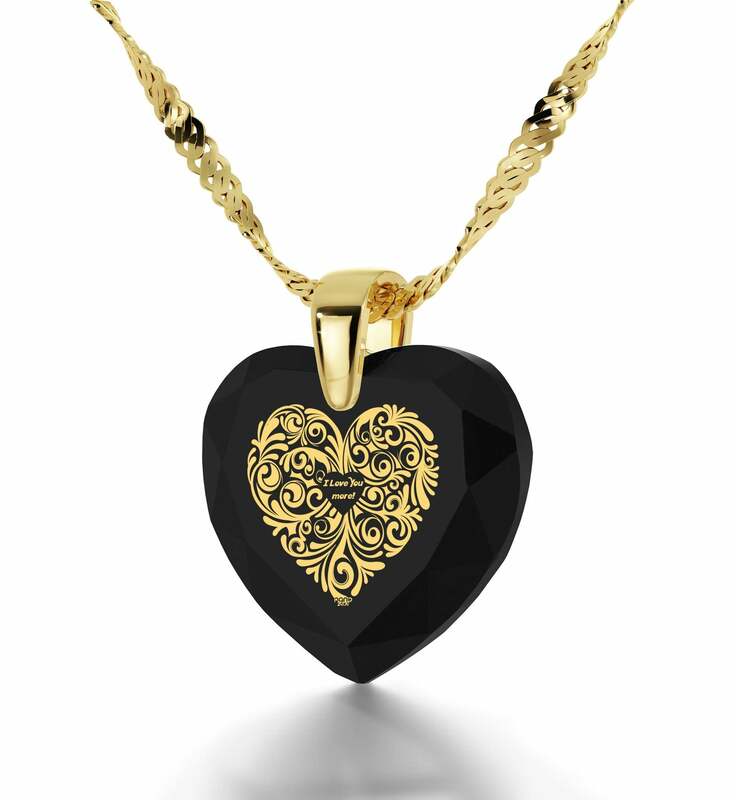 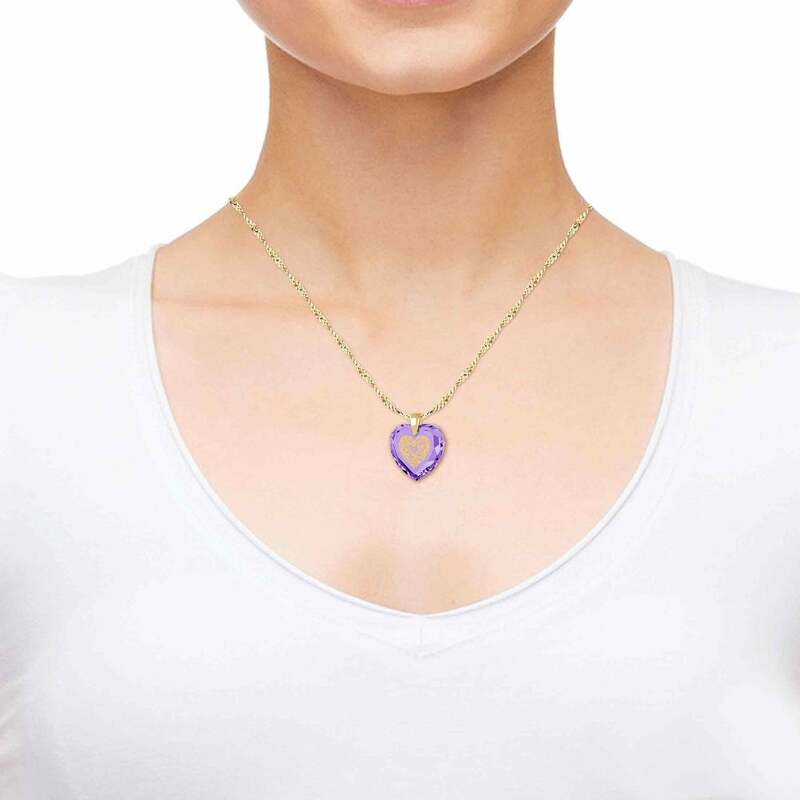 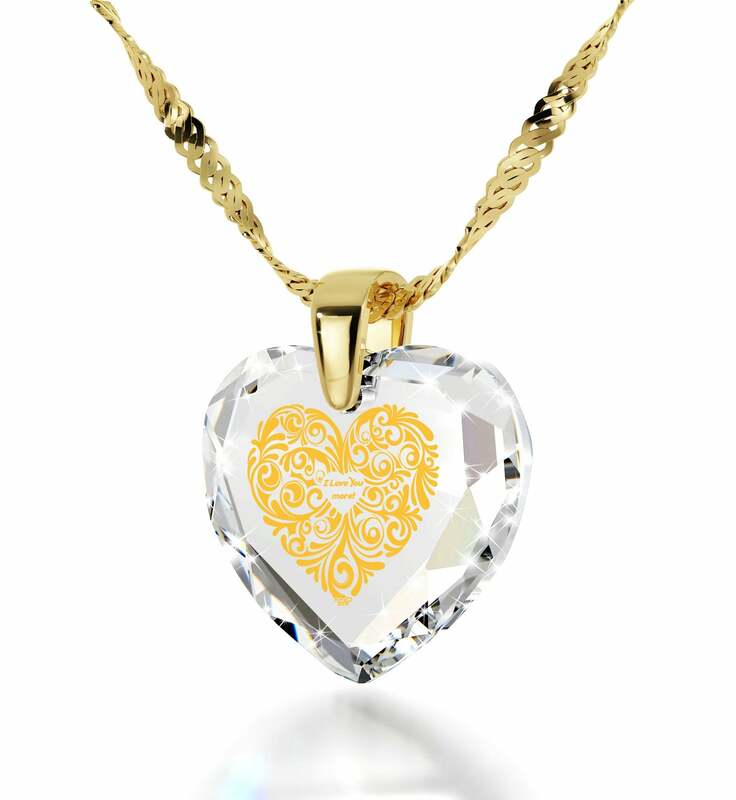 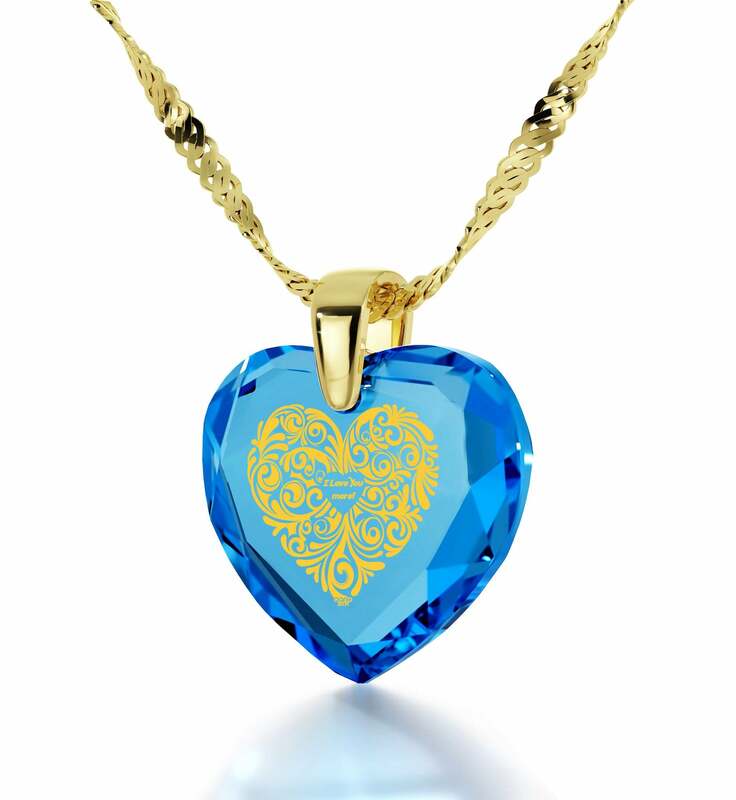 Celebrate your ever-growing love for her with this unique necklace! With every passing day, with every good memory and all the bad times your love just keeps getting stronger. She might be as beautiful as the first time you saw her, but the love you feel for her has only grown exponentially. If an important milestone in her life is coming up, why not consider a 30th birthday present idea for her that will let your wife know how much your love has gotten stronger? 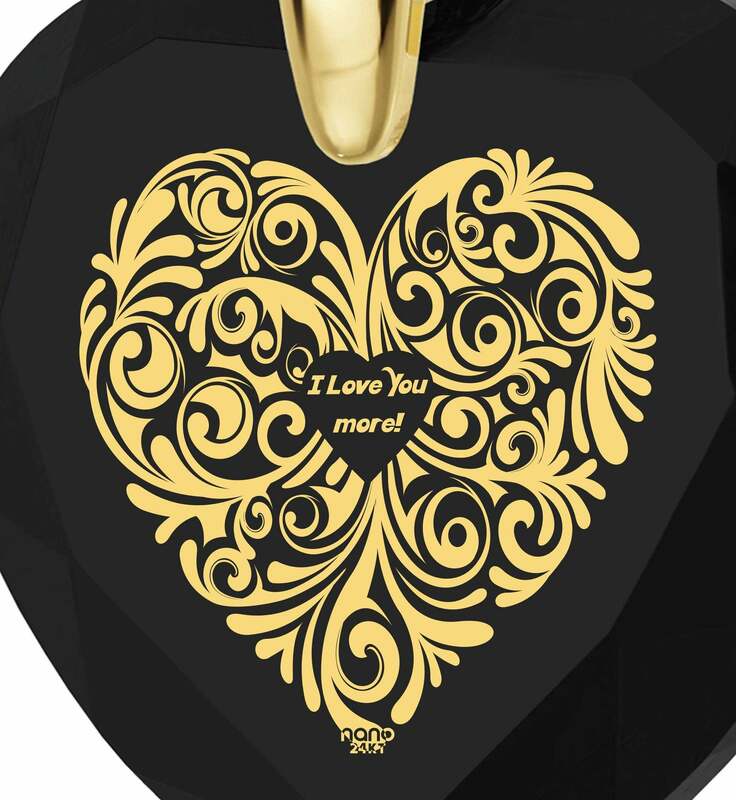 An inspired piece of I love you more jewelry will do the trick! You might think that a gold chain with pendant such as this is nothing special, but she’ll know it’s quality stuff as soon as she sees its dainty Italian chain. 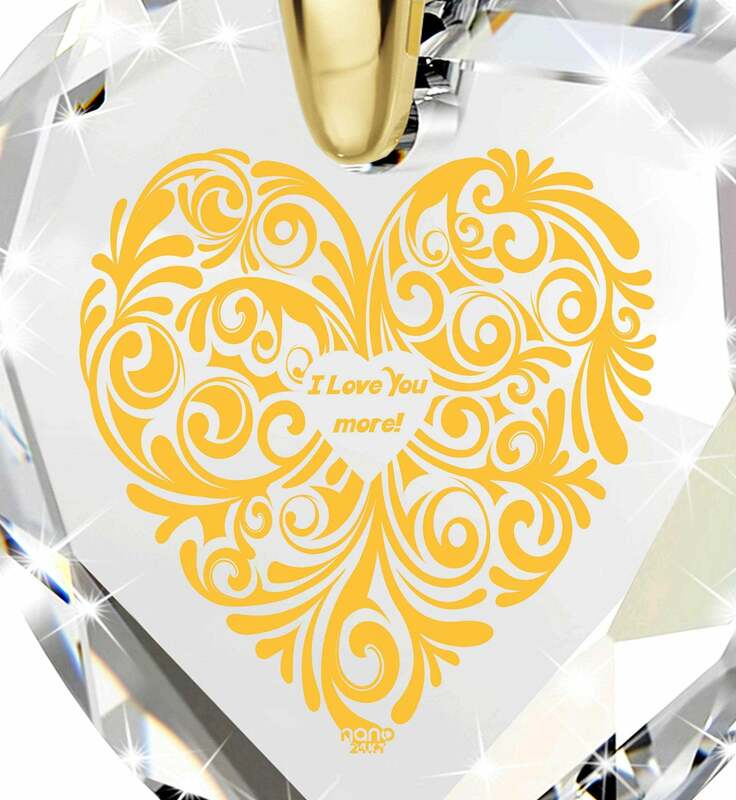 What is bound to impress both of you is the inscription found on its heart-shaped cubic zirconia gemstone. Thanks to a special process, the 24k pure gold inscription will remain on the gem eternally, and the detail of its intricate design cannot be copied by anyone else in the world, literally. If that isn’t a thoughtful and romantic birthday gift idea, then nothing is. 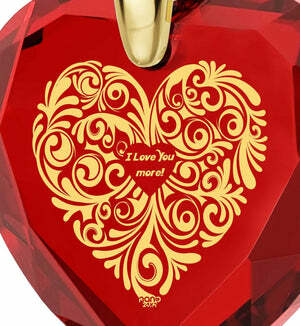 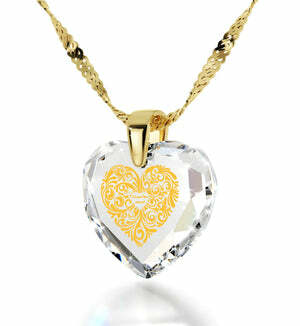 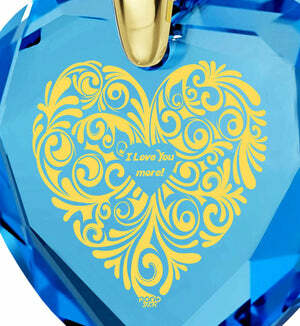 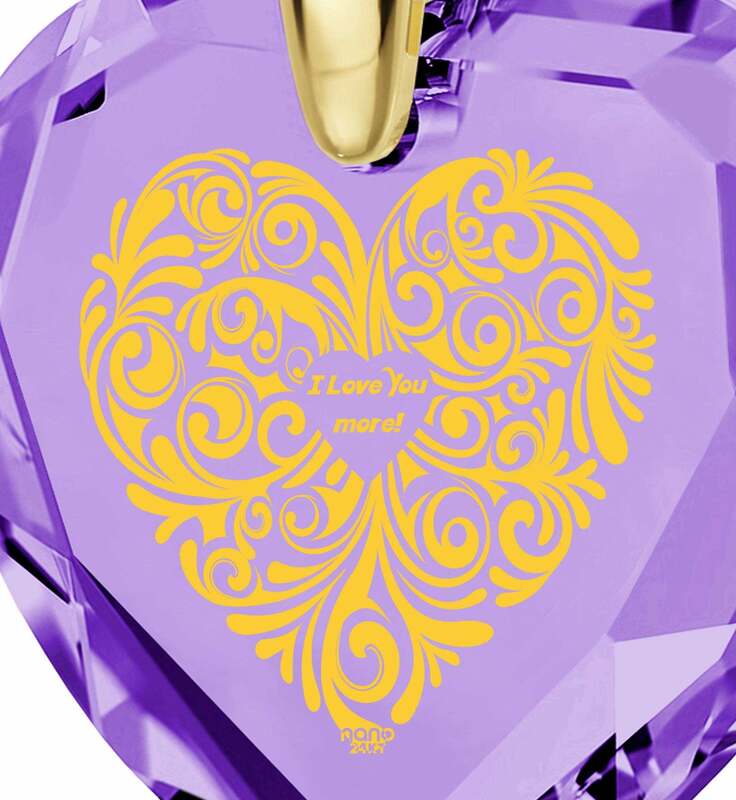 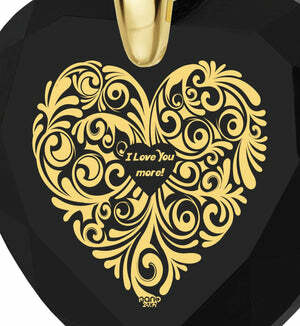 Inscribed is a complex heart-shaped floral pattern with the words “I love you more” at its center. 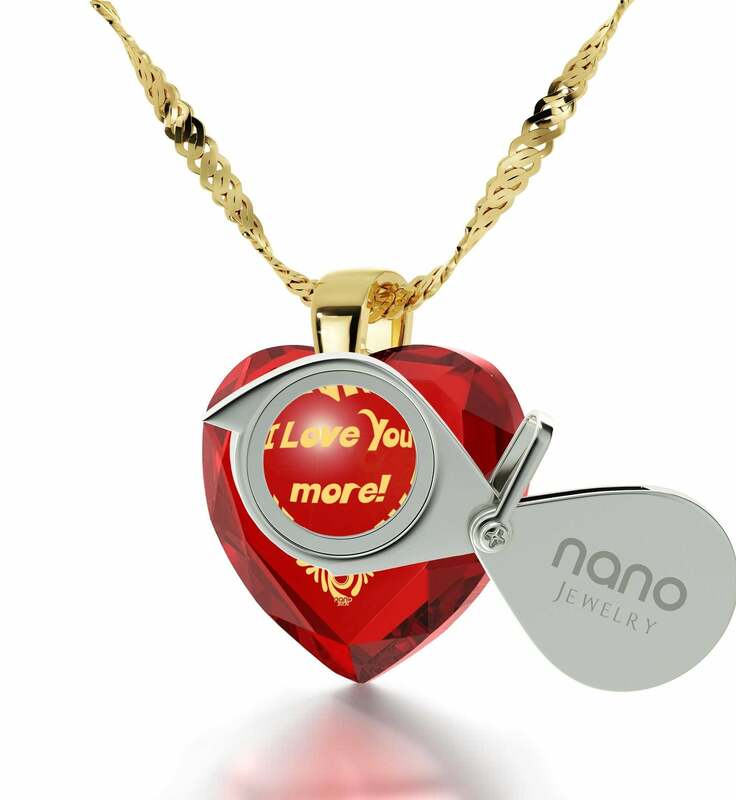 She’ll have a wonderful time tracing all the leaves and branches with the help of a custom-made magnifying glass also included as part of this top gift for wife. 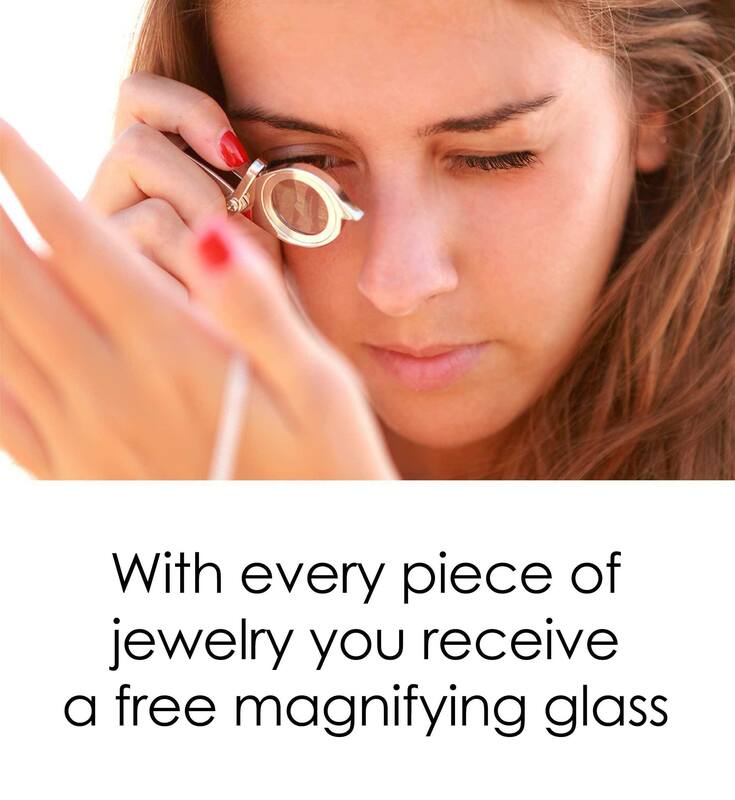 It wouldn’t be a complete gifting experience without an extraordinary box to present everything in, and we’ve got you covered there as well. 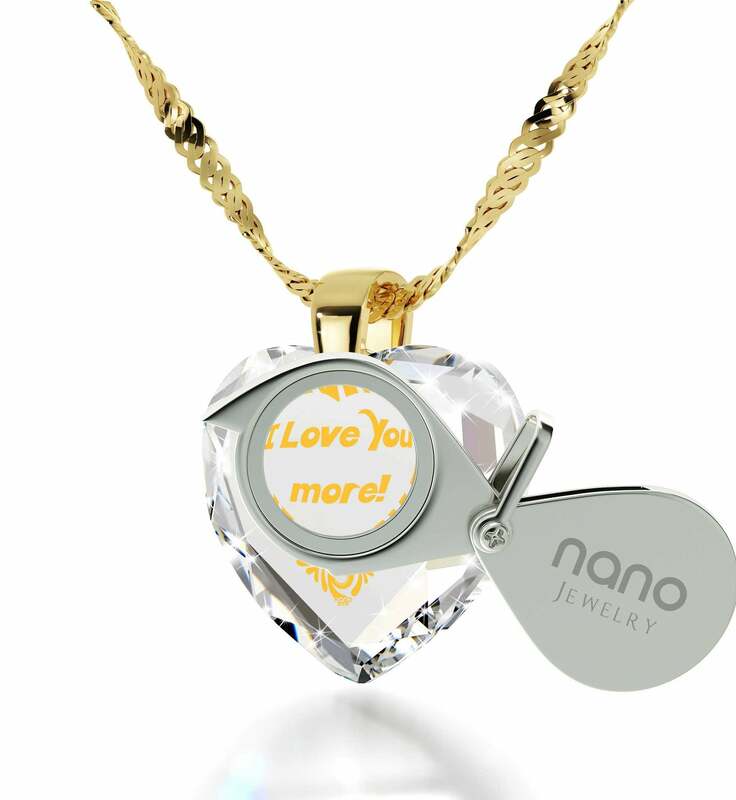 You just need to make sure she has a great time and make this unique birthday gift for her the center piece to a day she’ll never forget.